Our most recent recording, Kaleidoscope (2015), is a vibrant collection of music by North American composers, including well-known tunes such as Little Brown Jug, St. Louis Blues, and 12th Street Rag, as well as original works by living composers. Please enjoy some sample clips from Kaleidoscope at cdbaby. 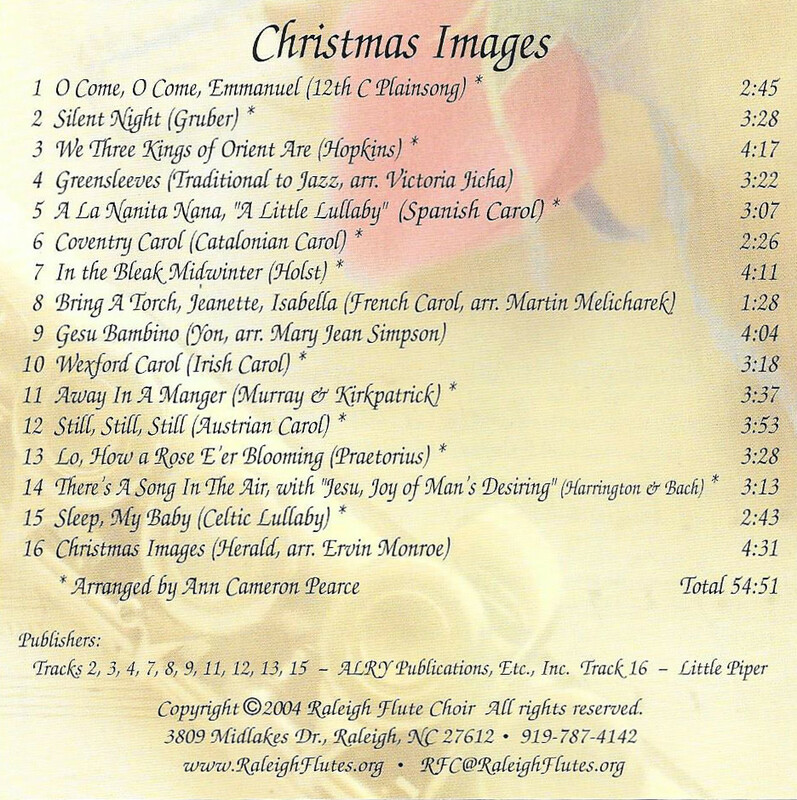 Christmas Images (2004) features soaring melodies and sweet lullabies representing the season with great lyricism. Some of the carols performed are Silent Night, In the Bleak Midwinter, Gesu Bambino, and Lo, How a Rose E’er Blooming. 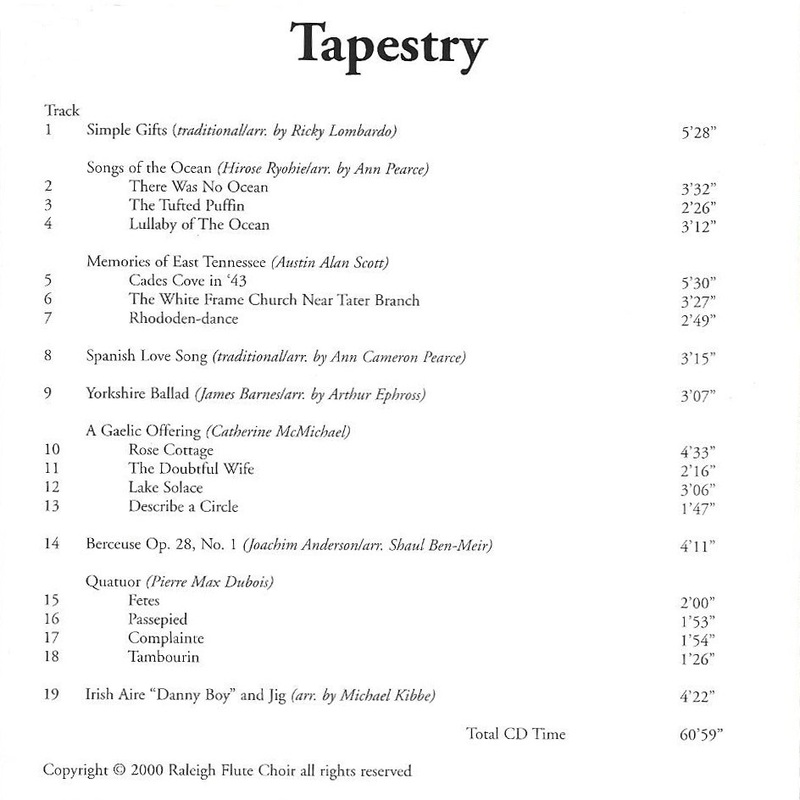 Tapestry (2000) presents an eclectic collection of compositions from around the world that includes Simple Gifts, Memories of East Tennessee, A Gaelic Offering, and Danny Boy. 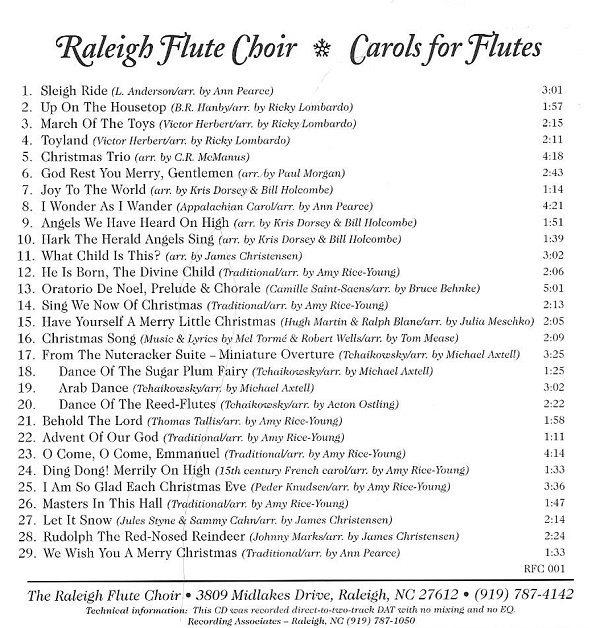 Carols for Flutes (1997) is a concert of 29 sacred and seasonal tunes, most of which are familiar favorites such as Joy to the World, What Child is This, selections from The Nutcracker Suite, and Rudolph the Red-Nosed Reindeer.